Out of the 100+ levels between Crash Bandicoot, Cortex Strikes Back, and Warped, we boiled it down to 10. 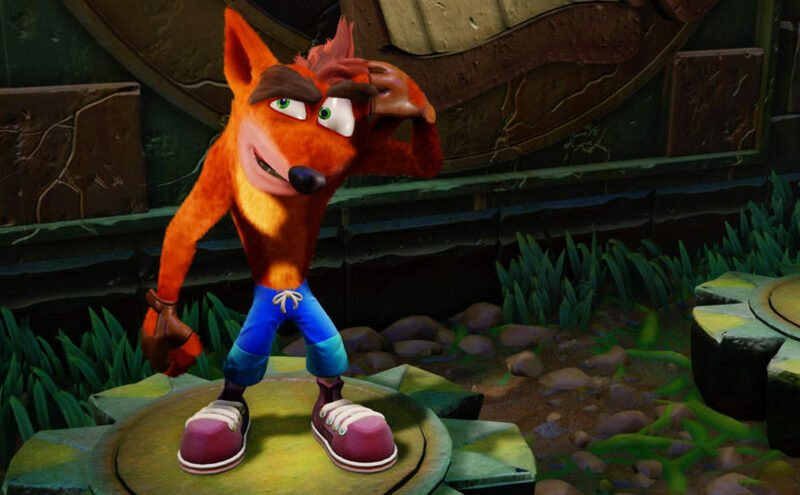 Ranging from quintessential to delightful and unforgettable, these levels are the ones we feel every Crash Bandicoot player should revisit more than once. Once we finalized our list, we went back and replayed all our selections (including honorable mentions and level variants) to ensure we weren’t missing anything. In the end, some levels we grew to love got taken down a peg, while others took on new meaning and appreciation. Cases were made. Hearts were broken. Crates were broken, too. 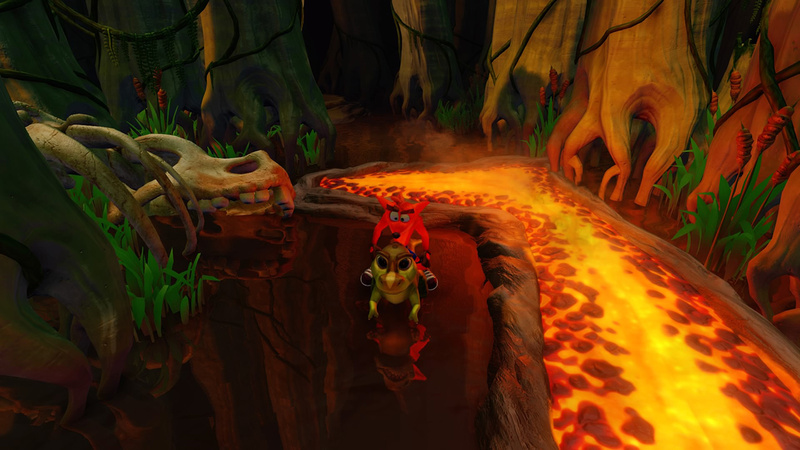 “Toad Village” gets major points for being one of the loveliest levels in the Crash series. It’s bursting at the seams with charm and whimsy, and doesn’t present mind-boggling challenges like some other levels on this list. It’s simply a pleasure to play through, beautifully-lit as if it were a short film set in the Middle Ages. The enemies are brilliantly goofy, with fantastic death animations to accompany (getting kicked out-of-sight by the Cortex goat is still funny). This is a level that’s truly enjoyable to spend some time in. There are butterflies in the long grass, chickens and birds darting from your feet, and patches of flowers gently swaying in the breeze. It’s such an inviting way to begin Crash Bandicoot 3 (CB3). Stroll through at your leisure – the challenges are yet to come. 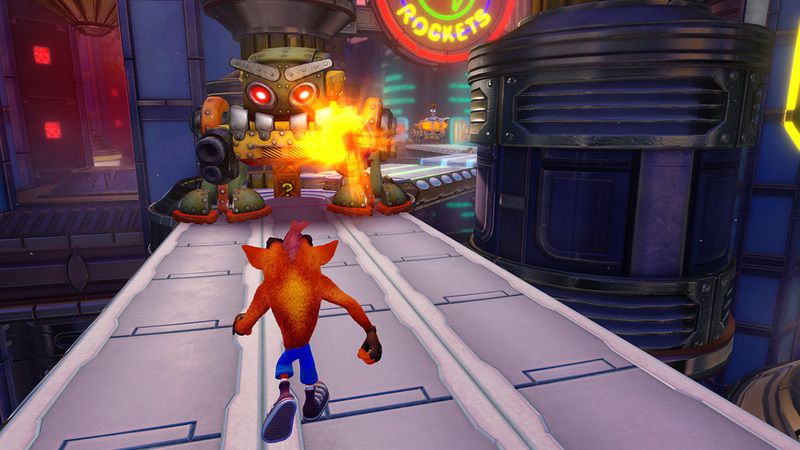 Although the trilogy’s final level isn’t as challenging as those preceding it, “Bug Lite” synthesizes some of Crash‘s best qualities into a jubilant reprise. Not only does it set the already-stunning Egyptian tomb theme at midnight, but it folds in the “Lights Out” concept (an anomaly in CB3) as fireflies guide Crash through pitch-black tombs. It also makes two thoughtful callbacks to the series’ opening level, “N. 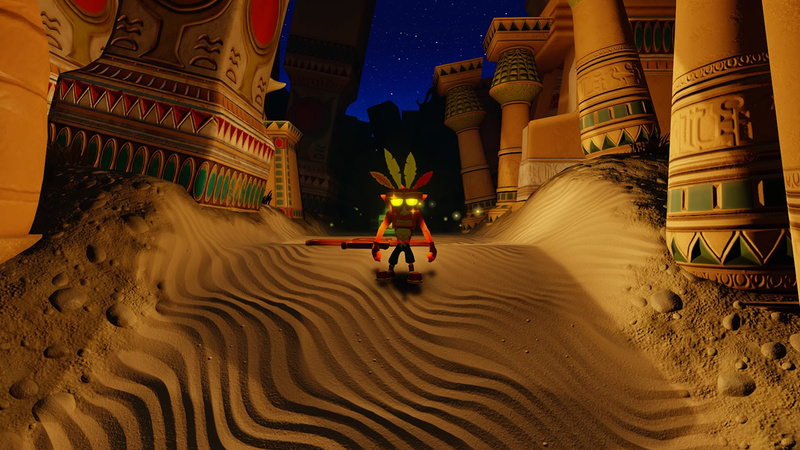 Sanity Beach,” with its perspective, sandy dunes and enough Aku Aku masks for a full-throttled sprint into the night. 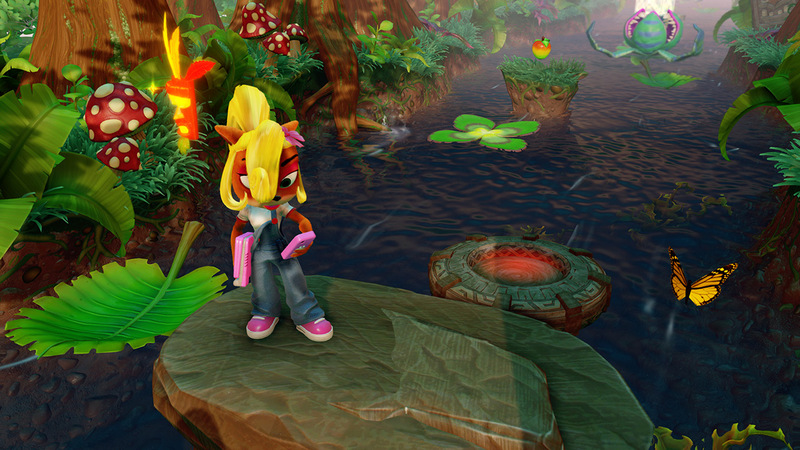 It is an interactive celebration of how far the series had come, but it has the hallmarks of a classic Crash Bandicoot level. “Future Frenzy” presents the gamer with the Crash version of technological dystopia. It doesn’t look too far off from a combination of Brazil and Blade Runner – and that’s what makes it so much fun to run around in. Unlike Crash Bandicoot 2’s (CB2) science/tech themed levels, (“Piston It Away” and “Spaced Out”) “Future Frenzy” is well-paced and innovative. 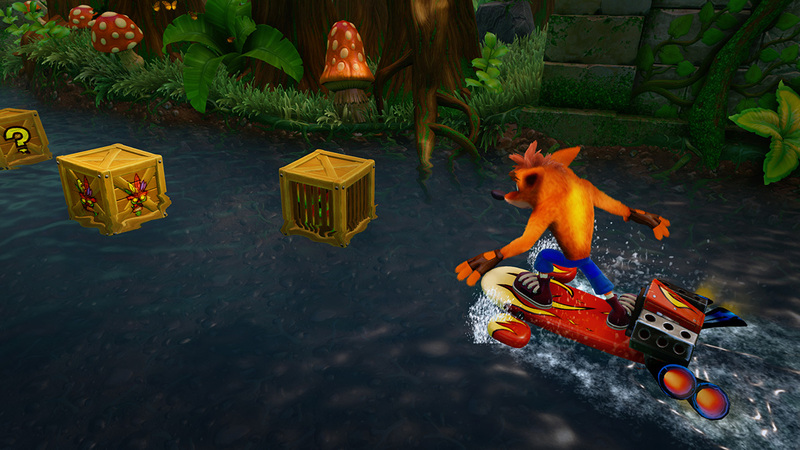 It requires you to be clever about your use of Crash’s extra powers to get through obstacles and to smash every box. The enemies in this level are particularly memorable, too, for challenging you in every possible way. Scorching-hot bars and light beams, robo-domes that can sprout spikes at any second, Cortex minions hovering in tiny laser-ray ships. You’ve got to be quick, and with the level’s complexity, you’ve got to be smart. I would argue that “Hang Eight” is Crash 2’s thesis statement in level design. Going even further with what produced some of the original’s best levels – i.e. the river theme – “Hang Eight” raises the volume and tempo in a way only CB2 can. With snappier animations, deadlier obstacles, joystick-designed platforming and a rad Fieri-approved jet board (hands-down the series’ best vehicle), Crash fearlessly skates along the element that’d otherwise drown him. To bring Crash’s penchant for danger into the trilogy’s most peaceful setting was a risky choice, but it works. While its predecessors, “Upstream” and “Up the Creek,” offer Crash his fleeting moment-of-zen, the fluid bombast of “Hang Eight” never gets old and defined CB2 – which most consider to be the series’ best entry. 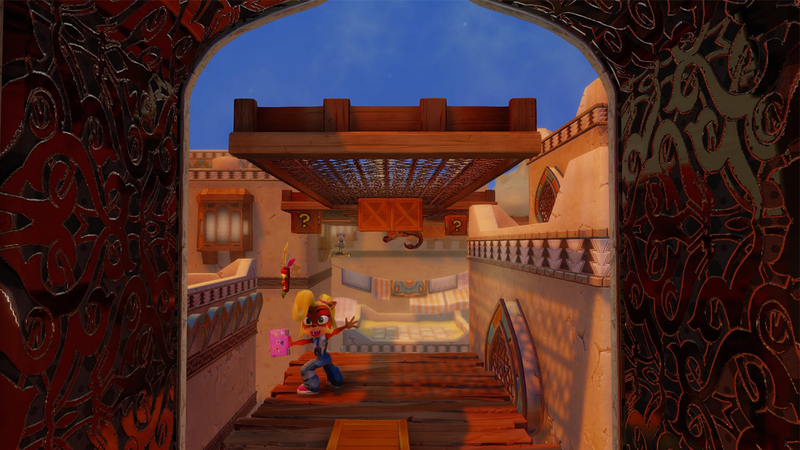 When I was younger and Naughty Dog’s original Crash 3 was fresh in my mind, I used to have dreams about the Arabian-themed levels. I would dream that I was climbing, running, jumping in that world, dust clouds around me every time my feet landed on the salmon-hued, sun-baked stone. I’d argue that it’s the amount of detail in “Hang ‘Em High” that made those dreams possible for my brain to conjure. The patches of sand piled up in platform corners, the cracks in the walls, the folded towels and rugs hung up on background clotheslines, the perfect hot-afternoon color palette. Crash’s terrified face as he clambers across ornamental metal bric-a-brac. The addictive, Arabian-inspired music. “Hang ‘Em High” is another great example of a level from CB3 that perfectly sets a mood and utterly transports you to a distinct time and place. Appearing only halfway into Crash 3, “Dino Might!” is perhaps the trilogy’s most ambitious level. If perspective is the series’ core platforming hook, “Dino Might!” pushes that to its absolute limit. The level starts by moving forward, then sideways, then towards the screen – all without a single cut. It has a gem path, a secret path to a secret level (“Eggipus Rex”), and creative enemies in an epic prehistoric twist on the vintage jungle theme. Much of the same is true of its earlier iteration, “Bone Yard,” but “Dino Might!” affords you control of a baby t-rex (Crash‘s nod to Yoshi) and hits the sweet spot in terms of length. The level isn’t as surefooted in its layout as it could be – at least for where it appears along CB3’s difficulty curve – but the more I revisit the trilogy, the more this level stands out to me for its audacity and execution thereof. It’s typical for the first level in a theme to be the favorite amongst its siblings, but “Dino Might!” is a powerful demonstration of nearly everything the series has to offer. Initially we debated about including “Slippery Climb” on the Top Ten list – yet, the more we discussed the level, the higher up it crept. Has any other level in early Crash history inspired as much frustration, as much madness? Even all these years later, it’s still notorious for its difficulty. Yet as you slide off rain-soaked ledges time and time again, the level draws you back in with its lightning flashes and macabre motifs. 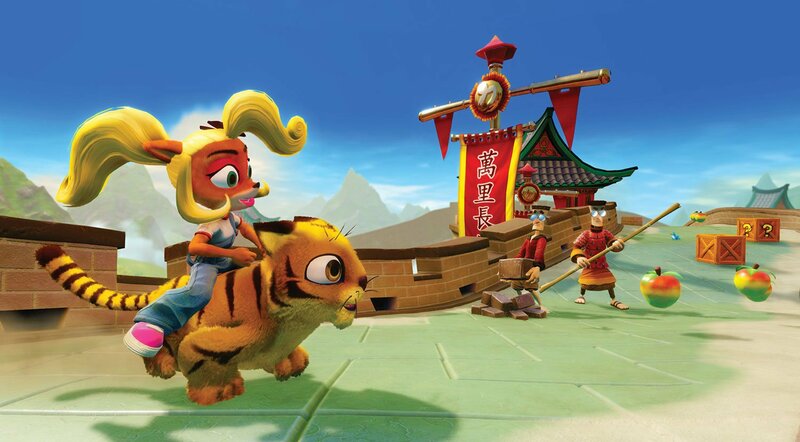 It’s the only level of its kind in CB1 – “Stormy Ascent” remake notwithstanding – and therefore particularly memorable as you journey through the third island. Just a quick Google search on the level yields thoughts such as “Gaming things that make you RAGE,” “Slippery Climb is a Nightmare!,” and “After 15+ game overs on Slippery Climb…” The sheer laboriousness of the level might inspire derision in some, but I find its carefully calculated creepiness to be Poe-like in brilliance. 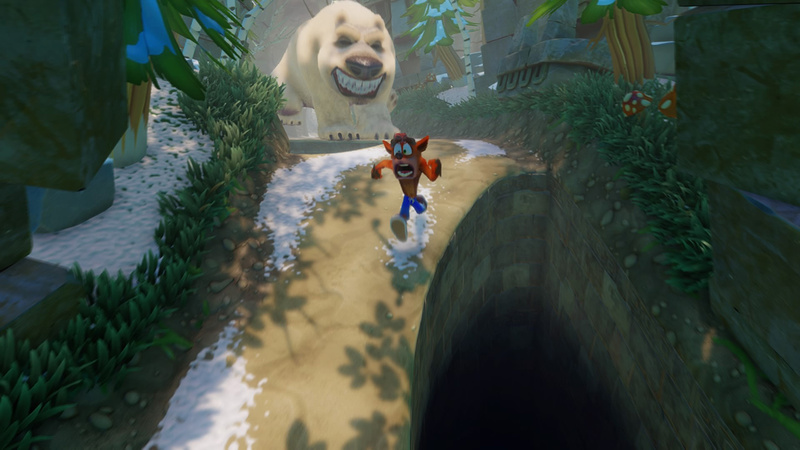 The teeth-grinding climax to Naughty Dog’s signature entry into game design, “Un-Bearable” takes their innovative “chase” concept to a place they would never top. This level, above the rest, wins in the “element of surprise” department; its distinct one-two-punch – replacing inanimate boulders with raging polar bears, and Crash catching a lift on their adorable cub – results in a wild race for survival. It’s unforgettable for not only being an avalanche of gaping maws, but also for Crash’s Cheshire-grin while riding atop Polar to safety, making for one of the trilogy’s most hilarious scenes. “Un-Bearable” single-handedly subverts our expectations of the series’ two most iconic premises, all set against the backdrop of its rare alpine theme (not to mention two brilliantly staged secrets). As Crash 2’s most expressive offering, this level was poised for a successful restoration, now brimming even higher with its light-hearted sense of dread. Twenty years later, it still delivers. When you learn about the Great Wall of China in early history classes, it immediately captures the imagination. So getting the chance to ride a tiger along the Wall in “Orient Express” feels like a childhood fantasy come true. (The same can be said for exploring Egyptian tombs in other CB3 levels.) The level shines beautifully in the remaster, with plentiful lush mountains in the background and fully-realized, vibrant festival dragons. On top of that, I can still vividly recall the delight in getting to play as Coco for the first time in this level. Is there a cooler pairing in all of the Crash trilogy than Coco & Pura? I think not. Holding down R2 here allows Pura to dash at an exhilarating speed, and makes it a breeze to finish the whole shebang in under 20 seconds. For that reason, “Orient Express” is easily the level I’ve replayed the most. As soon as I’ve finished the time trial, I’m loading it up yet again. The challenge to beat my own best time – 13.05 seconds – hasn’t ceased to be a thrill. Oftentimes, the best parts of a video game are the show-stoppers: scaling the third Colossus, obtaining the Master sword, creating an infinite loop with portals, etc. These are the moments game designers earn, by gradually layering ideas that lead to brief euphoric moments: where gameplay, visuals and story meet in unusual harmony. It just so happens that this is how Crash Bandicoot begins. The opening level of any game carries a lot on its shoulders: it not only needs to entertain and set a tone, but to convey its fundamental rules and language to the player. In a much subtler way than “Dino Might!,” “N. Sanity Beach” plays with virtually every core Crash trope – yet, with much less experience under its belt. 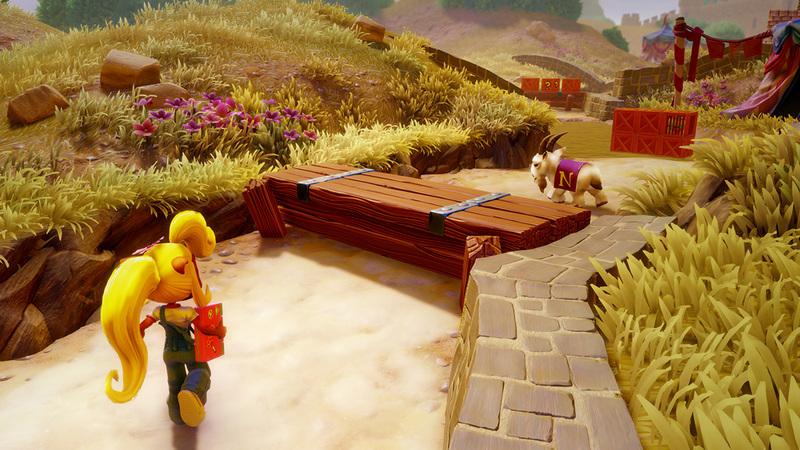 With its vertical interlude and fork-in-the-road ending, Crash‘s debut level affords players a choice in how they’ll complete it – building trust, respecting their intelligence, and inviting them back for more. The fourth-wall-breaking introduction, the cresting waves, the wrecked ship, the crabs and perplexing bridge-of-crates – “N. Sanity Beach” makes several bold statements and then moves on, enthusiastically making room for the next one. Much of the series hinges on this level’s existence and attention to detail. We can’t think of another level that received as meaningful of a second-life through the remasters, nor have been so happy to revisit. It may be simple, short and sweet, but “N. Sanity Beach” is the quickest path to making me feel like a kid again. The early version of a peaceful level like “Toad Village.” I think the calm music truly makes these river levels what they are. Love seeing lush detail in the riverbed floor thanks to the N. Sane remake. When I was little, my mom gifted me a trip to Disney World. The (very early) morning we were leaving for the airport, I almost made us late because I couldn’t rip myself away from this level. Not sure if it was the unforgiving save system of the originals, or the thoughtful, methodical pace of this level. Either way, I’m still mesmerized. I’ve always enjoyed this level, but the N. Sane Trilogy updates knocked it out of the park. I’m enamored with the glow of the toxic green goo, the dirty, shiny metal walls and the simple-yet-great early iterations of machine-based enemies. I’ll always remember asking my mom to help me beat this one when I was a kid. I love how the water mechanics create a whole new obstacle in the already brilliantly-styled Egyptian tomb levels. This level isn’t better-structured than “Hang ‘Em High,” but I almost love the nighttime mood of the setting even more. Brings me right back to the slightly more intense parts of Aladdin – but better, ‘cause it’s Crash. 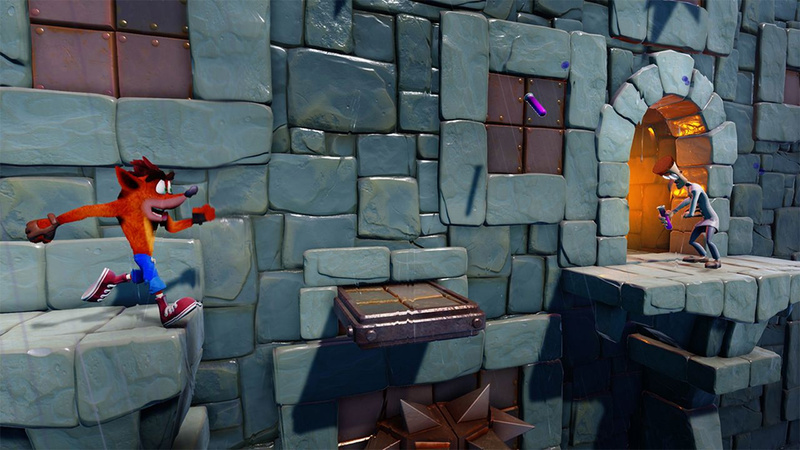 Beautifully remastered with sunlight leaking through crumbling checkpoints, the original “Boulders” level helped push Crash Bandicoot over the edge. A classic, through and through. This and its near-identical twin, “Rolling Stones,” reveal what lies beyond “N. Sanity Beach.” It’s one of Crash’s more understated and underrated levels, but its elephant-tinged soundtrack, hills and pace make it one of my personal favorites. No level received as much of a visual 180° as “Temple Ruins” in the remasters, thanks to its fire-lit chasms and better-communicated booby traps. I use to loathe this level, and now I love it. I still appreciate the dual-purpose of Aku Aku here, as both protector and lantern. The remastered lighting is a sight to behold, but actually makes the platforming less clear at times. However, the gothic medieval flare and super cool gem path make that easy to forgive. My longtime personal favorite of the trilogy, “Turtle Woods” is the most frolicking of the forest levels with its morning rain, mist and mud-pits. I feel at home in those woods. Agree, disagree, and/or have your own Top Ten? 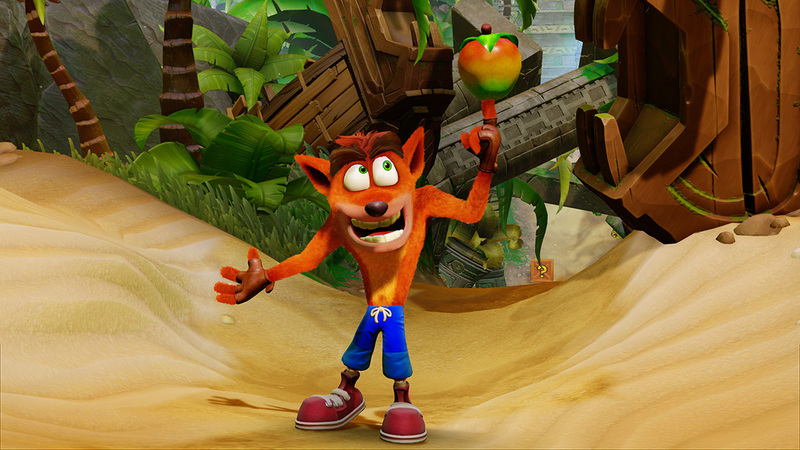 We’d love to know what levels other Crash Bandicoot fans reach for and why. Feel welcome to leave us a comment and/or share your own list.